Der Begriff Gharana ist uns in den zurückliegenden Sendungen immer wieder begegnet. Gharana-s sind eine Art Musikschulen, die man in Nord- und Südindien antrifft. Gharana-s sind stilistische Ausprägungen innerhalb der indischen Klassik, Interpretationsformen von Ragas mit charakteristischen Ornamentiken, die von Generation zu Generation, von einem Lehrer an den Schüler in mündlicher Forum weitergegeben werden. Die Imdadkhani Gharana ist eine der ältesten Musikschulen der nordindischen Klassik, der Hindustani-Musik. Sie geht auf den Musiker Imdad Khan zurück. Imdad Khan (1848-1920) spielte die Sitar und Surbahar. Er wurde in Agra geboren. Imdad’s Familie zog in die Stadt Etawah, einem Distrik im British-Indien am Yamuna-Fluss gelegen. So ist die Imdadkahni Gharani auch als Etawah Gharana bekannt. Heute gehört Etawah zum indischen Bundesstaat Uttar Pradesh. Imdad Khan entstammt einer berühmten Musikerfamilie. Der musikalische Stammbaum der Khanfamilie kann nahezu 400 Jahre zurückverfolgt werden. Die Wurzeln finden wir im District Agra, im nordindischen Bundesstaat Uttar Pradesh. Die Imdadkhani Gharana hat sich über Etawah nach Kolkatta, Hyderabad, Indore und Mumbai durch ganz Indien ausgebreitet. Die geschichtlichen Wurzeln der Imdadkhani Gharana bis in’s 16. Jahrhundert zurück, gleich dem Familienstammbaum der Khanfamilie. Die Imdadkhani Gharana hat sich aus der Gwalior Gharana entwickelt. Es ist eine der ältesten Musikschulen, in der Gesangstile der nordindischen Klassik entstanden, wie der Khayal. Es ist die Besonderheit des Sitarspiels in der Tradition der Imdadhi Khan Gharana oder Etawah Gharana, dass man eine Gesangstechnik umsetzt. Benannt als: Gayaki ang. Von einem Sitarspieler ist es gewollt, der Ausdrucksstärke und -vielfalt der menschlichen Stimme als das herausragende Instrument der indischen Klassik möglichst nahe zu kommen. Auch alle sonstigen Instrumentalisten auf der indischen Flöte, der Bansuri, der indischen Fiddel, der Sarangi oder Sarode streben nach diesem Intonationsbild. Doch wie auf keinem anderen indischen Instrument wird auf der Sitar mit dem Gayaki Ang das Repertoir von klassischen Sängern gespielt. Auch Imdad’s Sohn Enayat Khan (1895-1938) war einer der bedeutendsten Sitarspieler des frühen 20sten Jahrhunderts. Es war Enayat’s Verdienst, dass er die Sitarmusik in der indischen Kulturhauptstadt Calcutta (Kolkata) einem größeren Publikum zugänglich machte. Die Sitar wurde bis dahin überwiegend in einem kleinen Kreis von Musikliebhabern gehört. Neben der Popularisierung entwickelte Enayat Khan auch die bauliche Struktur der Sitar weiter. Der indische Nobelpreisträger für Literatur, Rabindranath Tagore (1861-1941) zählte zu den musikalischen Weggefährten von Enayat Khan. Enayat Khan verstarb im Alter von nur 43 Jahren. Er hinterliess vier Kinder. Zwei Söhne, der Sitarspieler Vilayat (1928-2004) und Surbaharmaestro Imrat Khan (geb. 1935) wurden in der Tradition der ImdadKhani Gharana berühmte Musiker. The term Gharana appeared different times in some of IMC OnAir’s former broadcastings. Gharana-s are a kind of music schools we can find in North and South India. Within Indian Classical music the Gharana-s are stylistic branches, interpretation forms of Ragas with characteristic ornamentics which are passed on from generation to generation, by a teacher (guru) to the pupil (shishya) in oral form. Imdadkhani Gharana is one of the oldest schools of music of North Indian Classics (Hindustani music). It goes back to the musician and founder Imdad Khan (1848-1920) who played the Sitar and Surbahar (bass sitar). Imdad Kh. was born in Agra, his family moved to Etawa, a district in British-India close to the Yamuna river. Therefore Imdadkahni Gharani is well-known as Etawah Gharana. Today Etawah belongs to the Indian Federal State Uttar Pradesh. Imdad Khan eminates from a famous family of musicians. 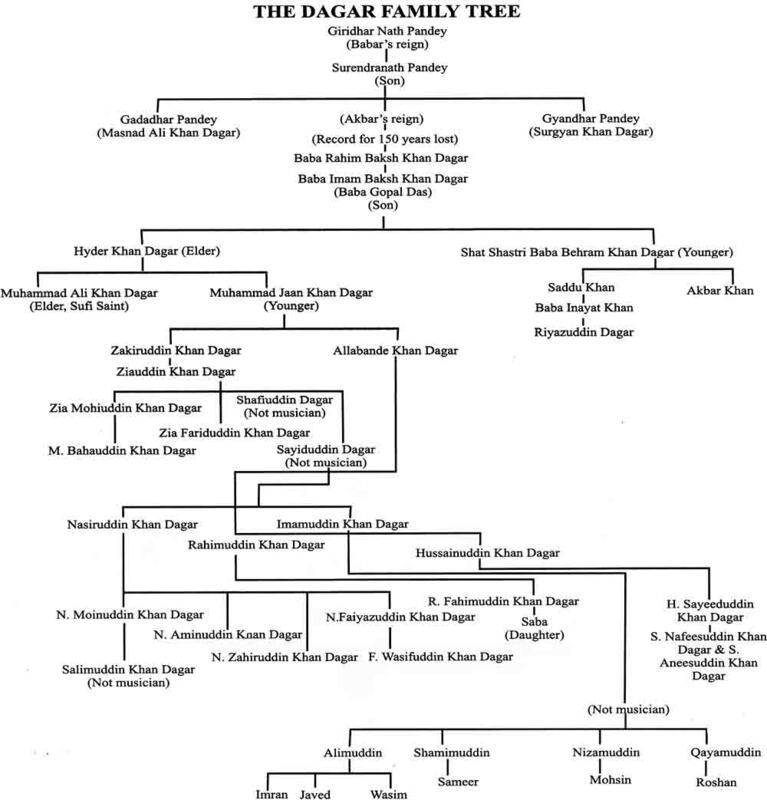 The musical family tree of the Khan family can be retraced almost 400 years. We find the roots in the district Agra, in the North Indian Federal State Uttar Pradesh. The Imdadkhani Gharana spread over Etawah to Kolkata (former Calcutta), Hyderabad, Indore and Mumbai nearby completely through whole India. The historical roots of the Imdadkhani Gharana go back to the 16th century, equal the family tree of the Khan clan. The Imdadkhani Gharana developed from the Gwalior Gharana. It is one of the oldest schools of music in which vocal styles of North Indian classics developed, like the Khayal. In the tradition of the ImdadhKhani Gharana (or Etawah Gharana) it is characteristic for the Sitar play that singing technique is converted. Designated as: Gayaki ang. By a Sitar maestro it is intended to come close as possible to the expression strength and variety of the human voice as the leading instrument of Indian Classics. Also all other instrumentalists, e.g. on the Indian flute (Bansuri), the Indian fiddle (Sarangi) or Sarode strive for the intonation of the human voice. But as no other Indian instrument on the Sitar is played the repertoir of classical singers with the Gayaki ang. Same as Imdad Khan his son Enayat Khan (1895-1938) was one of the most important sitarists of the early 20th century. 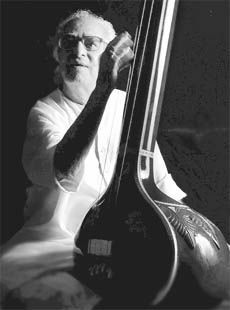 It was Enayat’s earnings that he made the Sitar music accessible and popular for a larger audience in the cultural capital of India, in Calcutta (Kolkata). Before the Sitar was heard predominantly in a small circle by music enthusiasts. Apart from popularisation Enayat Khan developed the architecture/design of the Sitar. The Indian Nobel prize winner for literature Rabindranath Tagore (1861-1941) ranked among the musical companions of Enayat Khan. He died at the age of only 43 years and left four children. Two sons, the Sitar player Vilayat Khan (1928-2004) and Surbahar maestro Imrat Khan (b. 1935) became famous musicians in the tradition of the ImdadKhani Gharana. Raga mAlkauns (or Malkosh) is in North Indian Classical music (Hindustani) very popular with the audience and musicians. In the South of India Malkauns is well known as Ragam hindOLam (Carnatic Music). 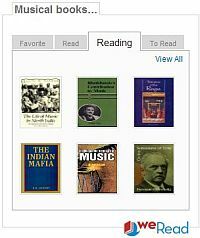 It is a 5 tone Raga with a 300 to 400 years old history and multivarious development. Malkauns is played to the late evening hour as midnight raga. The tendency of this majestic Raga is meditative and introverted, it’s modality is unique. Indian music maestros award to this Raga supernatural forces. By Malkauns even bad spirit can be driven out. The Indian Author V. Murthy who is living in Bangalore calls mAlkauns “king of the Ragas“, the title of our September show @ radio multicult.fm (Germany, Berlin) and worldwide as webradio. Raga mAlkauns (o. Malkosh) ist in der nordindischen Klassik (Hindustani) sehr beliebt. Im Süden Indiens (Carnatic) ist Malkauns als Ragam hindOLam bekannt. Der Raga mAlkauns ist ein 5-Ton-Raga mit einer 300-400-jährigen Geschichte und vielfältigen Entwicklung. Raga mAlkauns wird zur späten Abendstunde als Mitternachtsraga gespielt. Die Stimmung dieses majestätischen Ragas ist meditativ und introvertiert, seine Modalität einzigartig. Von den indischen Musikmaestros werden diesem Raga übernatürliche Kräfte zugesprochen, mit dem sogar böse Geister vertrieben werden können. Der indische, in Bangalore lebende Author V. Murthy nennt mAlkauns gar “König der Ragas“, der Titel unserer Septembersendung auf radio multicult.fm (Deutschland). The promotion initiative IMC – India meets Classic presents its monthly radio programme (and worldwide as webradio) as every 3rd Monday @ TIDE Radio with the topic: “ANGA – Location of a Raga“. In one of our previous programs, we dealt with the ornamentation of the ragas, ” Alankaras – 10 Types of Raga Ornaments “. The Alankara-s are the core for the development and beauty of a raga. While in modern classical music of the West is the ornament of the decorate the melody line, an Indian music maestro will improvise on the ornaments of a raga. It is a steady flow of the music bending the swara-s (notes) together. This kind of glissando is known as Meend (Alankara type). The oldest written documents with description of 33-s Alankara are being dated back to 100-200 years BC, such as the Natya Shastra of sage Bharata. In the 17th century describes the Sangeet Parijat (written by Ahobal) 63 and 68 types of Alankaras. Until as recently (100-150 years back) it became Shabdalankar as the latest Alankara classification. Other classification criteria for the identification of raga-s are the so called Pakad-s. The term Pakad describes the identification of a Raga scale. Pakad should not be confused with the German concept of music leitmotif (guiding motif) or (melodic) phrasing. The Pakad-s describe patterns and salient features of each Raga form. This grammar is used in Indian classical music of North and South India not for the technical execution, it is much more an aesthetic description, like a Raga performance always has focus onto a singular emotional expression (rasa). You should refer to IMC’s former radio show “Nava Rasa-s – the 9 moods of the ragas” in our media archive: www.imcradio.net/onlinearchive . The parameters of Pakad-s include the term Anga. Functionally Anga is the “location of a raga”. In the translation Anga means: A portion of a whole. In Indian classical music with reference to the octave of main seven (7) notes the principal notes are divided into two segments = two Angas. There is the deeper segment of a lower tetrachord* (= poorvanga) … and an overlying tetrachord (= uttaranga) in the higher octave, each with three small musical intervals. *) In general a tetrachord is of four (4) notes. This term derives from the Greek. The meaning of the word tetrachord means just: four (4) strings … (Rec. : In relation to the ancient Greece harp-like instruments). The interstices of a tetrachord are formed by three intervals. In a Ragaskala these are for the deeper tetrachord from the first four main grades: Sa-Re, Re-Gha and Gha-Ma. In the Western notiation it matches: the first and 2nd pitch: C-D, the 2nd-3rd and 3rd-4th pitch: D-E and E-F. The overlying, second tetrachord begins on the 5th pitch: Pa-Dha, Dha-Ni and Ni-Sa’ accordingly: G-A, A-B, B-C’. 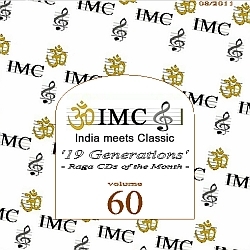 Die Förderinitiative IMC – India meets Classic präsentiert Ihnen eine neue Sendung zur indisch-klassischen Musik. Das Thema heute auf Tide Radio und weltweit als Webradio: “ANGA – Ortsbestimmung eines Ragas“. In einer unserer früheren Sendungen befassten wir uns mit der Ornamentik der Ragas: “Alankaras – die 10 Typen einer Ragaornamentik “. Die Alankara-s sind der Kern für die Entfaltung und Schönheit eines Ragas. Während in der modernen Klassik des Westens die Ornamentik der Ausschmückung der Melodielinie dient, improvisiert ein indischer Musikmaestro mit den Verzierungen eines Ragas. Dabei fliessen die Noten, die Swara-s ineinander, in einer ständigen Verknüpfung. Diese Art von Glissando ist als der Alankartyp Meend bekannt. Die ältesten Schriftdokumente mit Beschreibung von 33 Alankara-s werden auf 100-200 Jahre vor Christi Geburt zurückdatiert, wie dem Natya Shastra des Weisen Bharata. Im 17. Jahrhundert beschreibt das Sangeet Parijat von Ahobal 63 bzw. 68 Typen von Alankaras. Noch bis vor ca. 100-150 Jahre entstand Shabdalankar als die jüngste Klassifizierung. Weitere Klassifizierungskriterien für die Kennung der Ragas sind die s.g. Pakad-s. Der Begriff Pakad beschreibt die Kennung einer Ragaskala. Pakad sollte nicht mit dem deutschen Musikbegriff Leitmotiv (guiding motif) oder (melodische) Phrasierung verwechselt werden. Die Pakad-s beschreiben Kennungsmuster und hervorstechenden Merkmale der einzelnen Ragaformen. Diese Grammatik dient in der indischen Klassik Nord- und Südindiens weniger der technischen Ausführung, viel mehr ist sie eine ästhetische Beschreibung, so wie eine Ragaperformance immer nur einem einzigen emotionalen Ausdruck dient. Dazu verweisen wir auf unserer Sendung “Nava Rasa-s – die 9 Stimmungsbilder der Ragas” in unserem Medienarchiv unter www.imcradio.net/onlinearchiv. Zum Pakad zählt auch Anga. Funktional ist Anga die Ortsbestimmung eines Ragas. In der Übersetzung bedeutet Anga: Ein Teil eines Ganzen. In der indischen Klassik wird der uns bekannte Oktavraum mit sieben (7) Hauptnoten in zwei Segmente aufgeteilt, zwei Angas. Es sind ein tieferliegender, vom Grundton ausgehenden Tetrachord* ( = poorvanga)… und ein darüberliegender Tetrachord (= uttaranga) jeweils mit drei kleinen Tonintervallen. *) Ganz allgemein besteht ein Tetrachord aus vier (4) Noten. Dieser Begriff leitet sich aus dem Griechischen ab. In der Wortbedeutung heisst Tetrachord einfach vier (4) Saiten… und nimmt damit Bezug auf die im antiken Griechenland gespielten, harfenähnlichen Instrumente. Die Zwischenräume eines Tetrachords werden von drei Intervallen gebildet. In einer Ragaskala sind dies für den tieferliegenden Tetrachord aus den ersten vier Hauptnoten: Sa-Re, Re-Gha und Gha-Ma. In der westlichen Klassik entspricht er: C-D auf der 1. und 2. Stufe, D-E auf der 2. und 3. und E-F auf der 3. und 4. Stufe. Der darüberliegende, zweite TetraChord beginnt auf der 5. Stufe Pa, dem G. Die folgenden drei (3) kleinen Intervalle sind: Pa-Dha, Dha-Ni und Ni-Sa’, entsprechend: G-A, A-H und H-C, dem eingestrichenen C, um eine Oktave höherliegend als der Grundton. Die Förderinitiative IMC – India meets Classic präsentiert in seiner Augustsendung “Raga CDs des Monats” – wie jeden 2. und 4. 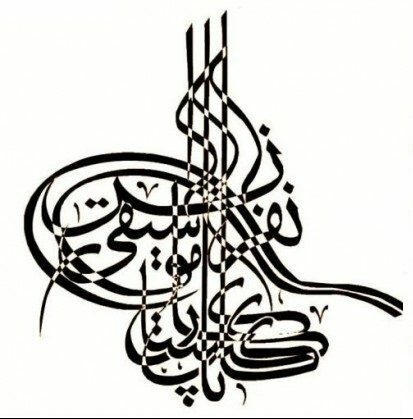 Sonntag auf Radio FRO (und weltweit als webradio) eine Hommage an den legendären Ustad Rahim Fahimuddin Khan Dagar. Der große Meister des Dhrupadgesangs, Rahim F.K. Dagar verstarb am 27. Juli 2011 im Krankenhaus nach schwerer und langer Krankheit im Kreise seiner Familie. Rahim Fahimuddin Khan Dagar ist der letzte große Meister des Dhrupadgesangs im Dagar Vani Stile, in 19. Generation, wohlwissend, dass die Familientradition fortgesetzt wird mit Ustad H. Sayeeduddin Dagar, Zia Fariduddin Dagar, dem Rudra Veena-Spieler Bahauddin Mohiuddin Dagar (20. Generation) und Solisten Faiyaz Wasifuddin Dagar. Der Familienstammbau der Dagarfamilie geht nahtlos zurück bis in’s 16. Jahrhundert (siehe unten stehende Graphik). Der Mönch (Swami) Haridas Dagar war ein Dhrupadsänger der ersten Generation. Er lebte zu Zeiten des Moghulherrschers Babar (1526…). Swami Haridas Dagar war auch Lehrer von Tansen, ein Berufsmusiker am Moghulhofe Akbars (1542…). Für viele Inder gilt Tansen als der eigentliche Begründer der nordindischen Klassik (Hindustani), aus der sich die uns heute bekannten Ragaformen herleiten. Es ist der Dagar-Familie und ihrem über viele Generationen unerermüdlichen Engagement für den Erhalt und die Weiterentwicklung des Dhrupads zu verdanken, dass in den 60er Jahren des 20sten Jahrhunderts dieser älteste Gesangsstil der nordindischen Klassik auch weltweite Beachtung fand. Die Senior- und Junior-Dagarbrüder waren auf allen großen Bühnen der Welt anzutreffen. Rahim Fahimuddin Khan Dagar präsentierte auf seinen Konzertreisen in Übersee den Dhrupadgesang, wie auch in Deutschland und einer Vielzahl von europäischen Ländern.